I’m back after a blip last week with five things I think you should read, watch or listen to. Cue sob story. I have had a bit of a tough time recently and taken great comfort in the hours I managed to steal away in front of the TV. As unlikely as it sounds, escaping to The Troubles in 1990s Northern Ireland, racing across the world with a bunch of strangers and watching the Earth’s ice caps melt in spectacular style before my eyes all really helped me to relax. TV is great. 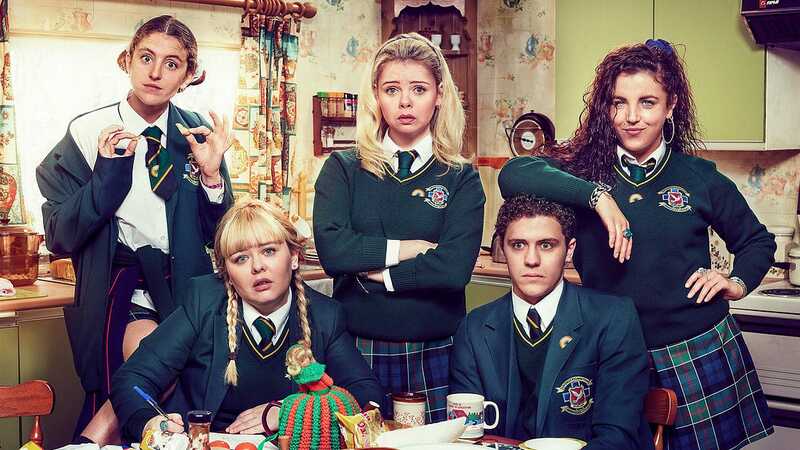 Derry Girls: The second series of this comedy set in 1990s Northern Ireland came to an end this week with one of the best TV moments of the year. I am a Derry Girl! The last two episodes have made me cry happy tears. All episodes are available now on All4 in the UK. US readers can watch it on Netflix soon. Georgia: British electro-pop singer/songwriter Georgia (Barnes) new single ‘About Work The Dancefloor’ doesn’t necessarily make sense but it is very good. It hits a sweet spot between club music and pop that I am fully onboard with. How To Be More Confident: You might not think you have it, but anybody can learn to have more as Justin Myers explains in this article for GQ. It’s mostly about being calm and kind. Race Across The World: Everyone is banging on about this show and for very good reason. The premise is that five couples have to get from London to Singapore for the cost of an economy plane ticket, WITHOUT GETTING ON A PLANE 😱 It’s a unique mix of gameshow, reality TV and travel documentary. I have one episode left and at the moment I want everyone to win (apart from those two hipster blokes). If you’ve been enjoying the show and fancy a go yourself, click here. Media Masters: This long-running podcast series from Paul Blanchard features long form interviews with the biggest names in journalism, publishing, TV, radio, politics and PR. The latest episode is a very interesting and candid chat with Will Young. Just a reminder about my upcoming podcast Show This Thread. It is all about Twitter. Follow @showthreadpod for updates and head to showthreadpod.com to find out more. If you have got this far, thank you for reading. Please click the blue button below to share this on Twitter or, if that’s not there, make sure you sign up to get The Edit in your inbox every week.